The Chargers enter their Week 17 matchup against the Broncos ranked eight in scoring defense (21.8 PPG) and total defense (331.3 YPG). 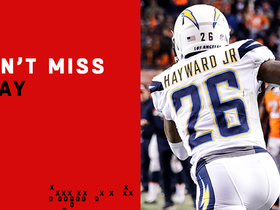 The Chargers held the Chiefs to 294 yards of offense in a 29-28 victory in Week 15. They'll host the Ravens on Saturday. 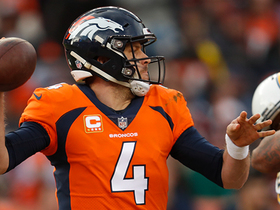 The Chargers held the Bengals to 295 total yards of offense during Sunday's 26-21 win. 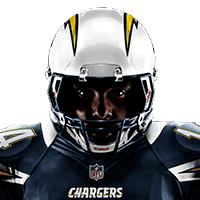 The Chargers boast the league's seventh-ranked scoring defense (20.8 PPG) entering Week 14. 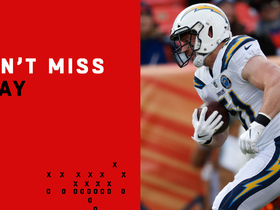 The Chargers held the Cardinals to just 149 total yards during last week's 45-10 rout over Arizona. Los Angeles will face Pittsburgh in Week 13. The Chargers enter their Week 12 game against the Cardinals with the seventh-ranked defense in points allowed (20.9 per game). 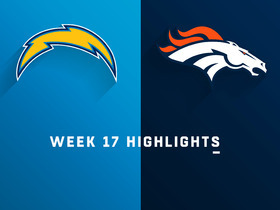 The Chargers boast the league's eighth-best scoring defense (20.7 PPG) entering their Week 11 matchup with the Broncos. 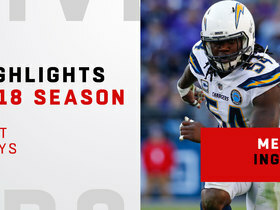 The Chargers enter their Week 10 matchup with the Raiders ranked as the league's 12th-best scoring defense (22.5 PPG). Chargers defensive end Joey Bosa (foot) is closing in on a return to game action. The Chargers rank ninth in the league with 10 takeaways heading into Sunday's game against the Titans in London. 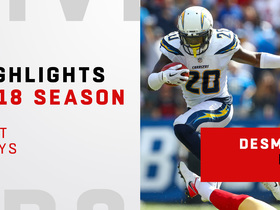 The Chargers enter their Week 6 matchup with the Browns ranked 21st in scoring defense (26.0 points per game). The Chargers currently rank 28th in the NFL in scoring defense (30.0 points per game). 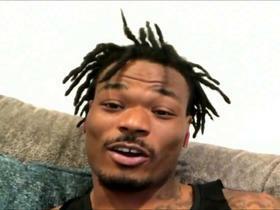 The Chargers rank 31st in scoring defense (31.0 PPG). Chargers defensive end Joey Bosa (foot) will not play in Sunday's game against the Rams. Analysis: The cross-town matchup will mark the first game between the two Los Angeles-based teams. 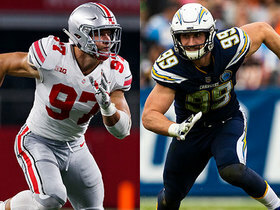 Even if Bosa was to play, the Rams offense resembles that of a juggernaut and is a group that makes most defensive coordinators turn blue just thinking about them. Led by Todd Gurley and Jared Goff, the Rams have eclipsed the 30-point mark in each of their first two games this year. There's no reason to believe things will take a left turn for Sean McVay's offense anytime soon. Chargers defensive end Joey Bosa (foot) is listed as questionable for Sunday's game against the Bills. Defensive lineman Corey Liuget (knee) and linebacker Denzel Perryman (hamstring) are both listed as questionable for Sunday's game against the Raiders. Linebacker Denzel Perryman won't play in Sunday's game against the Jets due to a hamstring injury. Cornerback Casey Hayward is listed as questionable for Sunday's game at Kansas City with a calf injury. Chargers cornerback Casey Hayward is dealing with a hamstring injury ahead of Sunday's game against the Redskins. Cornerback Casey Hayward is listed as questionable for Sunday's game against the Browns as he left the team earlier this week to tend to the death of his younger brother. Analysis: Hayward has been one of the best cornerbacks in the NFL the past two seasons and would represent a big loss for the Chargers defense, but this remains an appetizing fantasy matchup regardless of his availability Sunday. The Browns are averaging a league-worst 15.1 points per game and QB Deshone Kizer leads the NFL with 14 interceptions thrown. 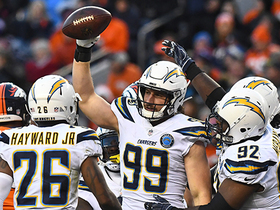 The Chargers defense has played quite well over the last six weeks, and that should continue in Week 13 as they face the worst offense in the NFL. Inside linebacker Hayes Pullard is questionable for Thursday's game against the Cowboys with a neck injury. Inside linebacker Hayes Pullard is listed as doubtful for Sunday's game against the Bills with a neck injury. 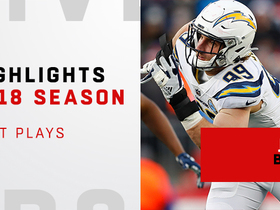 The "NFL Total Access" crew discuss which brother is better between Los Angeles Chargers defensive end Joey Bosa or Ohio State defensive Nick Bosa.